The fifth wave is now showing itself to us in GBPUSD chart. At the point, further rise may touch 1.5930 in long view. 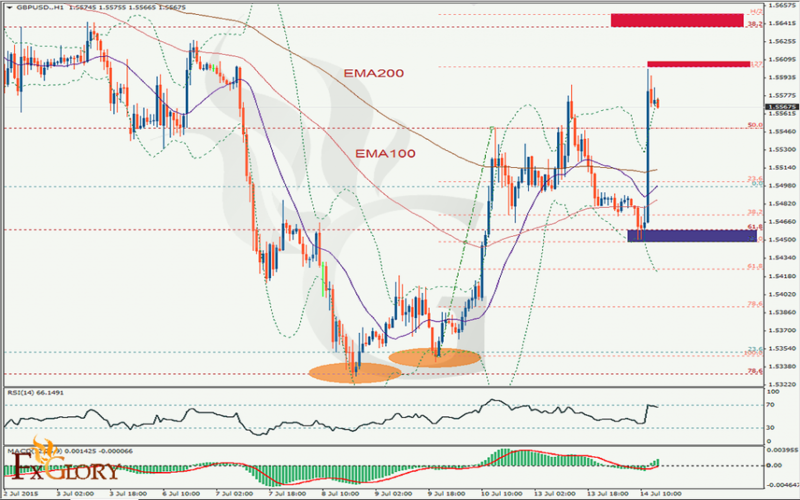 We expect that level around 61.5% level of 1.7195 to 1.4560. There is resistance around 1.5640~50 which can make pair retrace in its bullish movement. Also no one can dismiss 1.5550 as a strong level also 50% of Fibo as you can see in figure. Considering another scenario, we can think about even 1.3503 level. But sentiment of market now injects more hope in buyers’ blood.